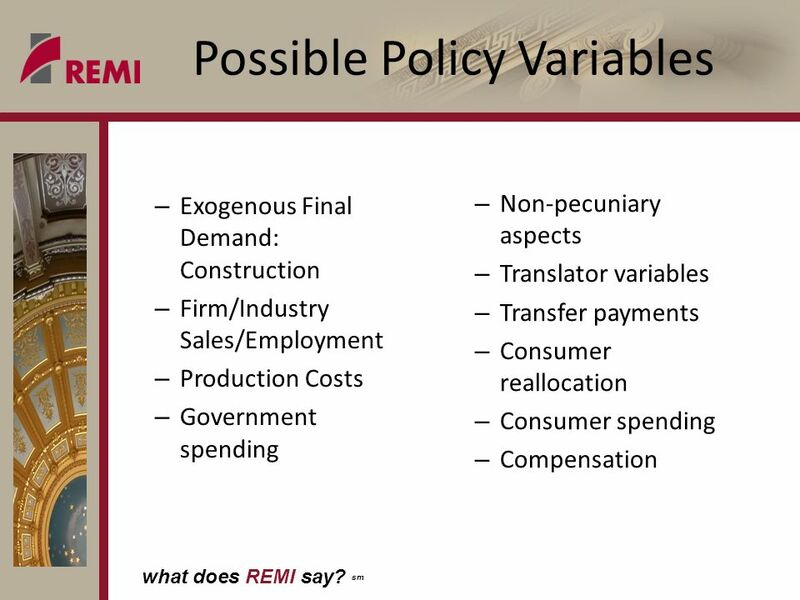 What does REMI say? 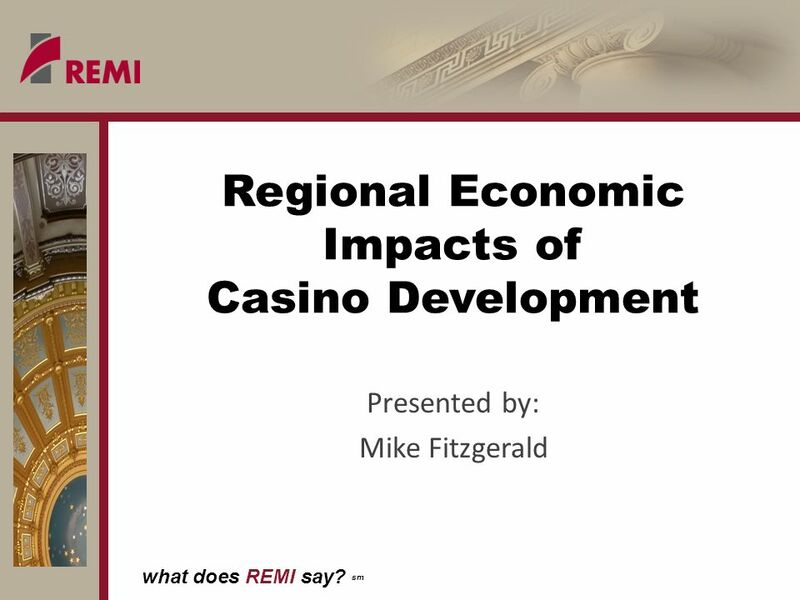 sm Regional Economic Impacts of Casino Development Presented by: Mike Fitzgerald. 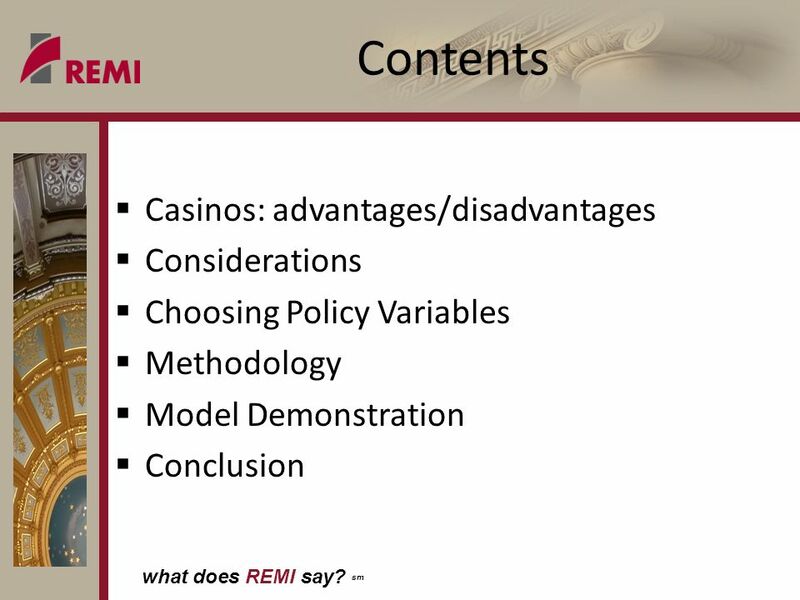 Download ppt "What does REMI say? 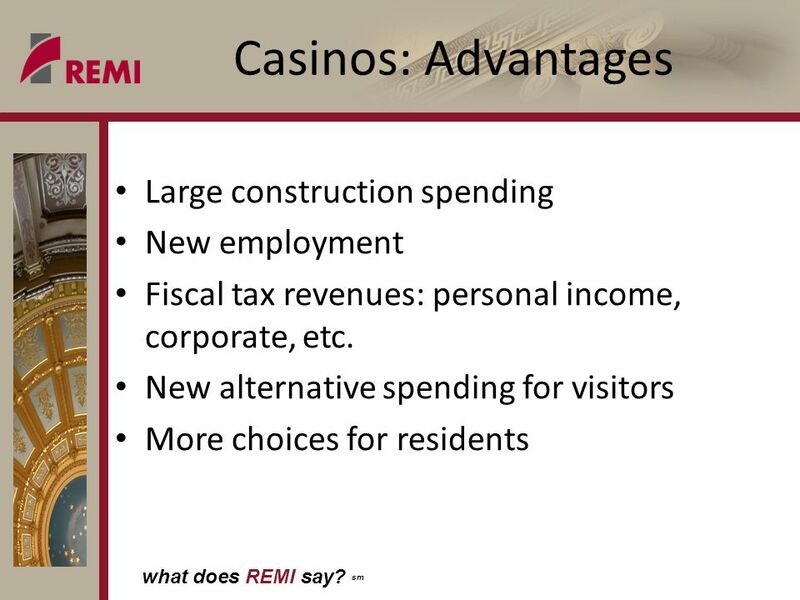 sm Regional Economic Impacts of Casino Development Presented by: Mike Fitzgerald." 1 11 …to raise new ideas and improve policy debates through quality information and analysis on issues shaping New Hampshires future. Board of Directors. What does REMI say? sm Understanding the Effects of the Bush Tax Cut Expiration Presented by: Dr. Frederick R. Treyz Chief Executive Officer Fall 2010. What does REMI say? sm Tax PI. what does REMI say? 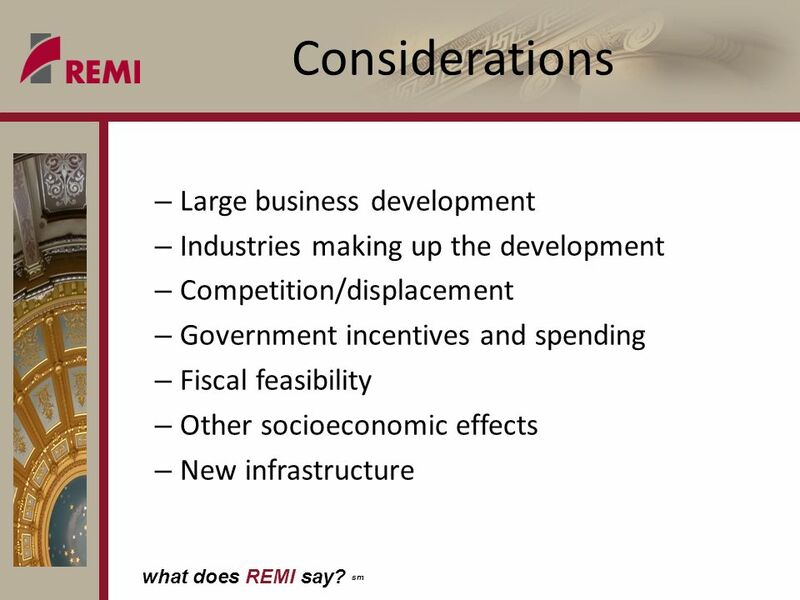 sm Shortfalls in the U.S.
What does REMI say? 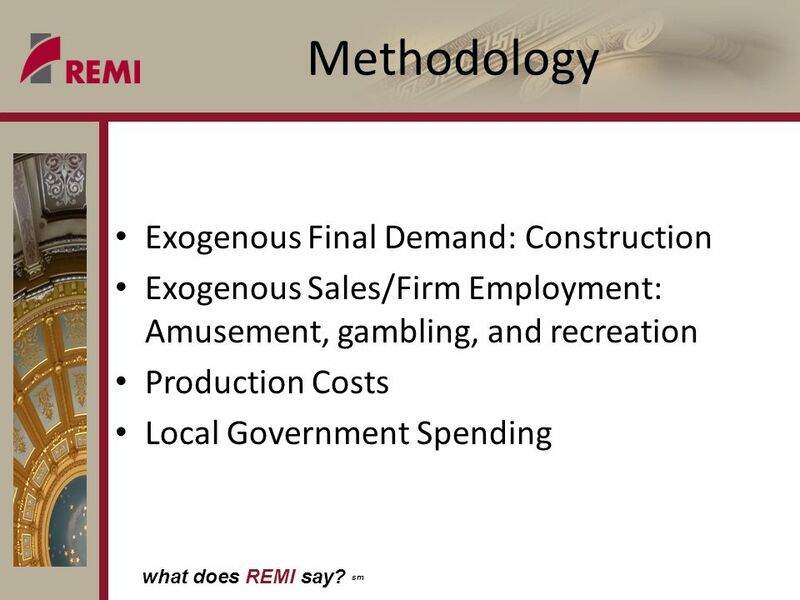 sm Oklahoma Higher Education By: Josh Brownstein Associate Economist Regional Economic Models, Inc.
What does REMI say? sm The Economic Impact of a Higher Education System on a State Economy Presented by: Christopher S. Gerlach, Associate Economist April. What does REMI say? sm Understanding the Sustainability of Jobs from Federal Spending Presented by REMI Frederick Treyz, CEO Rod Motamedi, Associate Economist. 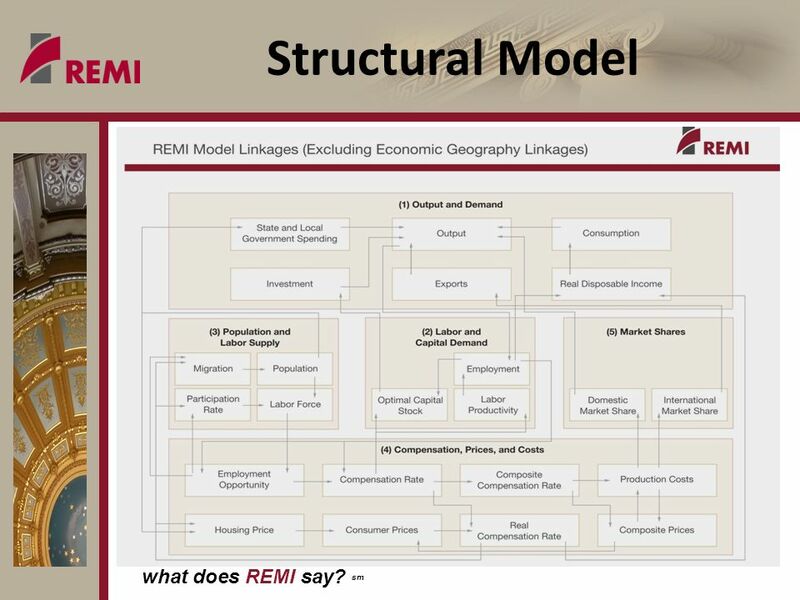 What does REMI say? sm PI + & TranSight For Universities. What does REMI say? sm We will begin at five after the hour to allow time for all attendees to call and log in. Thank you. What does REMI say? 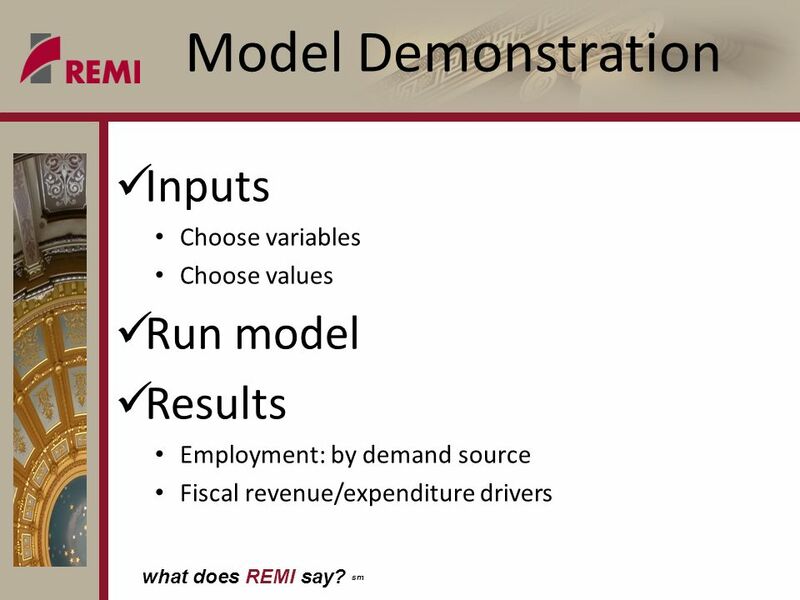 sm PI+ Demonstration: Evaluating Tax and Government Assistance Presented By Chris Brown Assistant Economist, REMI. What does REMI say? sm Introduction to The Next Generation of Policy Insight. What does REMI say? sm Development Plans for 2009. 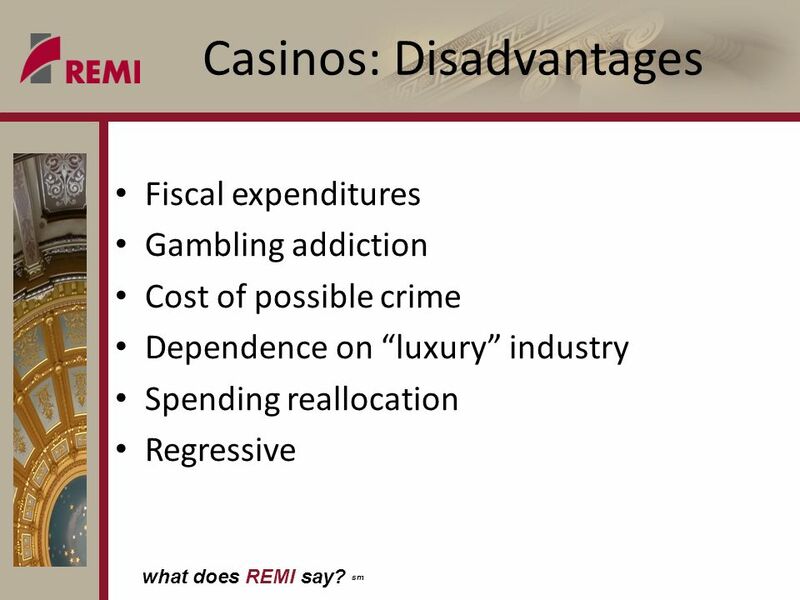 DOMINIC MODICAMORE DGA Economics, LLC April 23, 2009 USING REMI POLICY INSIGHT TO FORECAST THE ECONOMIC & FISCAL IMPACT OF RESORT CASINOS IN MASSACHUSETTS. 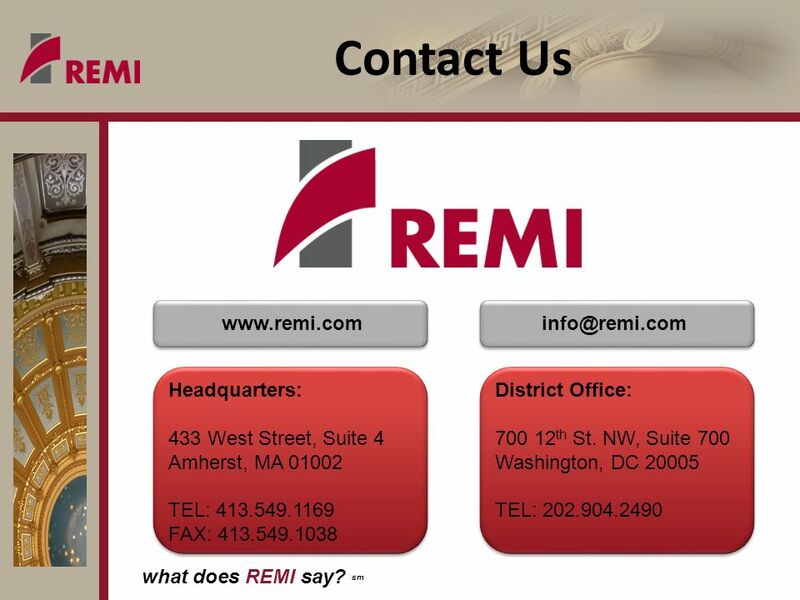 What does REMI say? sm Medicaid Expansion; Are You In or Are You Out? Presented by Chris Brown Senior Economic Associate.  Spending, taxing, & borrowing policies  Government collects taxes to pay programs (Roads, education, National Defense)  Taxes used to influence behavior. 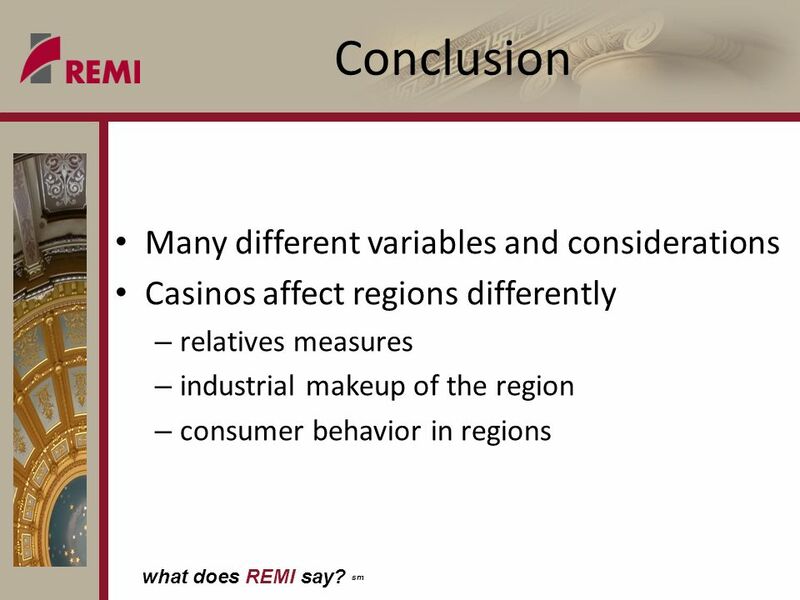 Casino Gaming in Massachusetts: An Economic, Fiscal and Social Analysis Carl Jenkins, CPA/ABV Managing Director, CBIZ Tofias. Tough Fiscal Times for the States: How Did We Get Here? Implications for the Future National Governors Association Institute for Governors' Education Policy.